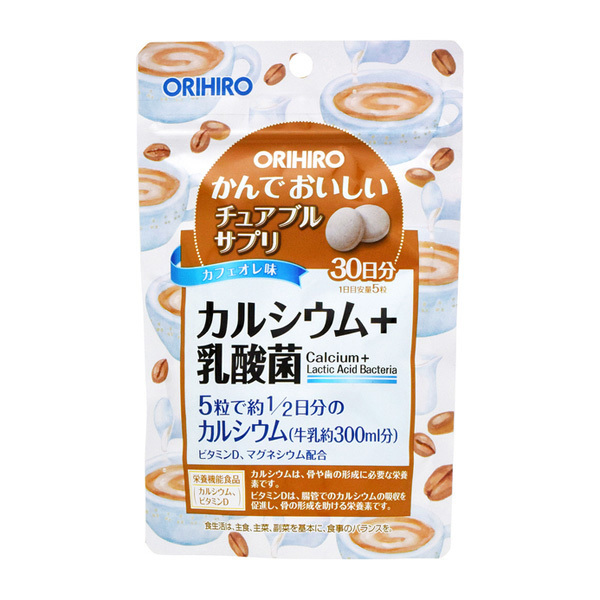 This product is a chewable calcium supplement with the delicious flavor of cafe au lait. The daily recommended intake of 5 chews a day provides about 350 mg of calcium, which is equivalent of the calcium found in about 300 ml of milk. 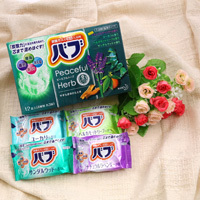 ・Please take 5 chews per day as a guide, being sure to chew. ・When starting this supplement for the first time, please start by taking a smaller amount. ・Avoid direct sunlight, heat and humidity, please store in a cool place. ・Please keep out of the reach of children. 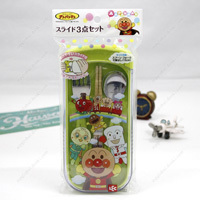 ・When children are consuming the product, please be careful that it does not get lodged in their throats. Parental supervision required. ・There may be differences in color and flavor depending on the product, but there is no problem in quality. 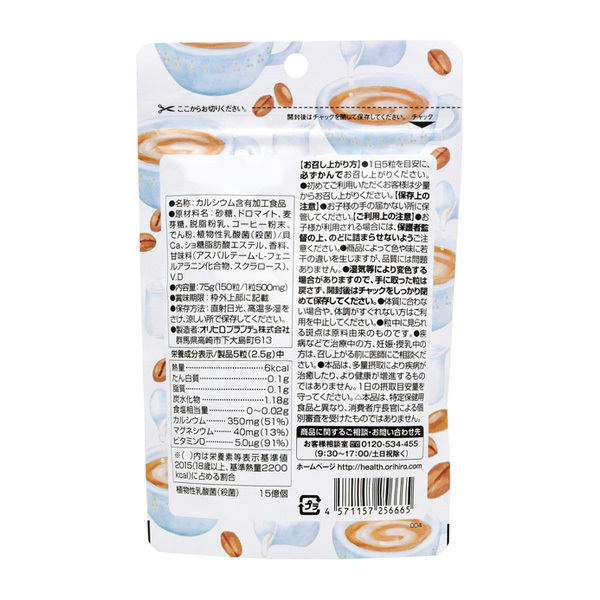 ・Please keep the package tightly sealed as discoloration may occur due to humidity, etc. 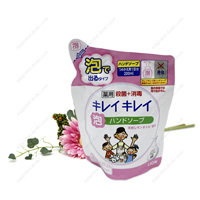 ・ If it does not suit your constitution or you start to not feel well, please discontinue use. 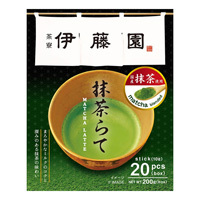 ・This product is not something that will improve health or cure disease with substantial intake. Please observe the recommended daily intake. 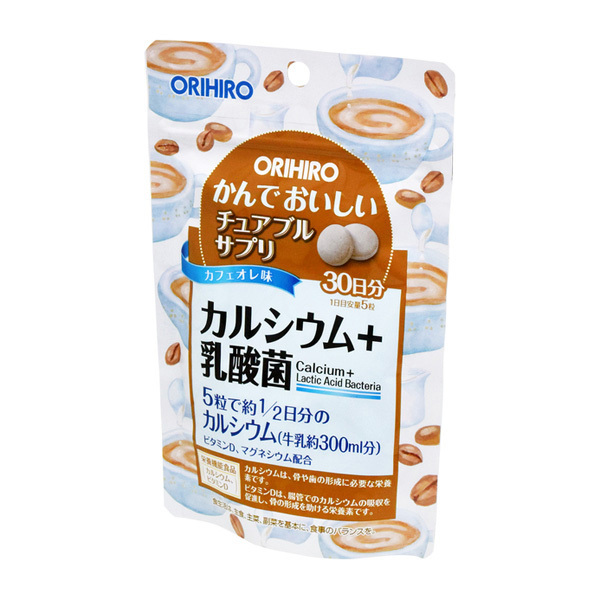 ・Unlike foods for specified health use, this product is not subject to individual screening by the Commissioner of the Consumer Agency.